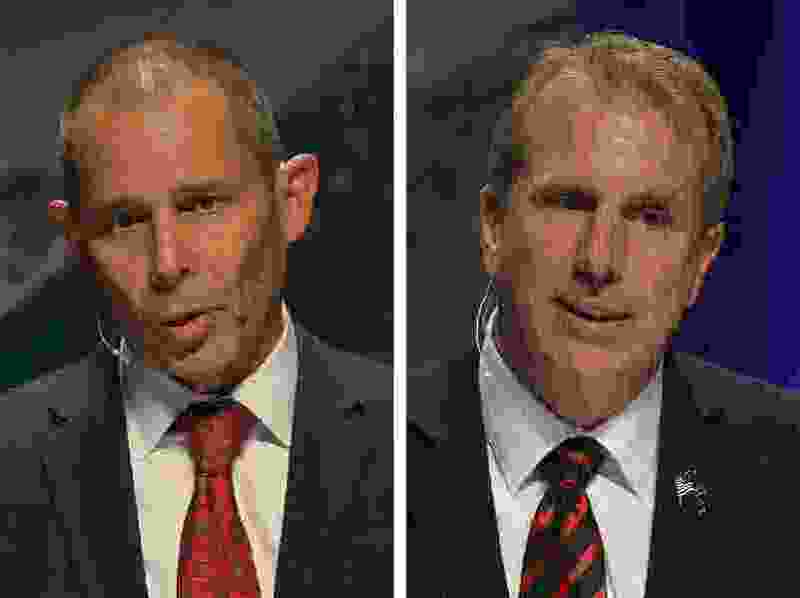 U.S. Rep. John Curtis critiqued several of President Donald Trump’s actions at a debate on Tuesday, working to define himself as independently minded in a district where Republicans will decide whether they want to keep him in Congress or elect his ultraconservative GOP challenger, Chris Herrod. Curtis differed from Herrod on immigration, tariffs and the response to the Russian investigation, with Herrod lining up solidly behind Trump in each case. For instance, Curtis suggested that Ron Mortensen, a Utahn and staunch Herrod ally nominated last week by Trump to oversee U.S. migration and refugee programs held “racist” views on immigration. While Curtis said he didn’t know Mortensen personally, he said the stories he’d read about Mortensen’s views on immigration, which are shared by Herrod, made him a bad choice. The Senate will vote on the nomination and Utah’s two members, who weren’t aware of the nomination prior to the president’s decision, have been noncommittal. Herrod defended Mortensen during the debate and after, saying that anyone using a “racist” label was trying to prevent a debate on issues. Herrod is in the primary contest because Republican delegates, who typically are considered more right wing than Utah’s GOP voting population, stopped short of handing the nomination to Curtis at the party convention last month. Delegates chose Herrod as their preferred nominee in a special election last year, but Curtis reached the primary ballot by collecting signatures. He handily won the party runoff and then the final election in November. Tuesday’s debate highlighted the two candidates’ differences, with Herrod lining up solidly behind Trump and Curtis critiquing the president’s record and rhetoric, though he has supported his agenda through his votes. Herrod said he supported Trump’s call for a wall on the southern U.S. border, and suggested Utahns should change their views on illegal immigration. “We have to get past what we have in this state, that it is compassionate for us to tolerate illegal immigration,” he said. Curtis said the country’s economy was doing so well that businesses were unable to find enough workers, and said U.S. immigration policy was in part to blame. “Our [businesses] all need these good people,” Curtis said. Curtis said the broad tariffs Trump has threatened to level against European, Canadian and Mexican steel imports has harmed Utah businesses. (“They’re hurting our economy,” Curtis said). Herrod said he generally is opposed to tariffs, but said the country has gotten better trade negotiations because because of the hard-line tack taken by the president. Herrod said he wouldn’t support protection for special counsel Robert Mueller, whose investigation into Russian meddling in the 2016 presidential election has led to the indictment and conviction of several former top Trump campaign aides. On the contrary. Herrod called for a special counsel to investigate Mueller. Curtis pointed out that Mueller was properly appointed by the deputy attorney general. “Make no mistake, Russia is not our friend,” Curtis said.